We love to watch movies that keep us on the edge of our seats; we love the anticipation of what’s going to happen next. This seems to be part of what makes us human—curiosity. We want to know beforehand what’s going to happen, we make our guesses and then wait, holding our breath and bracing ourselves for the outcome. We love a good mystery. My husband and I went to a special showing of Alfred Hitchcock’s The Birds last night. 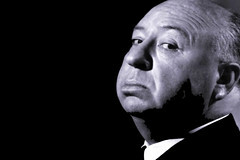 Hitchcock was nicknamed “The Master of Suspense” as he knew how to keep people waiting, watching and wanting more. We all have something built into us that seeks to know mysteries, secrets, and to research unknown things. God has put that curiosity into us so that we will seek Him out—we will pursue the mysteries of God: Who is He? What is He doing? Does He care about me? There was a great mystery that was kept secret since the world began but has now been made manifest in the person of Jesus Christ. Namely, that God became flesh and dwelt on the Earth among us. He died for our sins, and rose from the dead and ascended into Heaven. He then sent his Holy Spirit to dwell on Earth. To those who believe on Jesus and his death, burial and resurrection, He gives them the Holy Spirit to lead and guide them. And here’s the answer to another mystery: Why do Christians sometimes act so bad? One reason is because they sometimes listen to their own wants instead of listening to the Spirit. But another reason is that people have their own ideas of how a Christian should act. An extreme example of this is a man who is in prison in Kathmandu who was arrested for eating beef. That’s not a sin. For more about secrets and mysteries click here for a blog that was posted by “Serve Him in the waiting”. Hi Marie, I’m glad we didn’t have to move out of state also. The only thing is I got rid of stuff I would have kept if I knew we were staying — such as my Thanksgiving decorations. Oh well. That much less stuff to take when we finally do move.